Never have an empty chair again. Attract and schedule more clients with Webkon. Social media has changed the way clients seek beauty services. Launch your instant app on your social platforms to attract new clients and schedule more appointments. Showcase in-store products and allow clients to browse photo galleries of your best work. Notify clients of last minute appointment availability with instant push notifications sent directly to their mobile device. Showcase beauty products clients can purchase in-store or with your instant app. List services and pricing with links to instant appointment scheduling. Webkon’s 3rd party integration with Appointy empowers new and existing clients to instantly schedule appointments using your instant app. Eliminate barriers between new clients and your beauty professionals by allowing users to instant message stylists about services and appointments. Upload high quality photos to create beautiful galleries of your services and integrate Instagram to showcase your best work. Webkon apps for beauty salons and parlors offer attractive and chic landing page that is created keeping the potential customers in mind. The simple interface easily captures the hearts of the existing customers. The interface is designed to attract potential customers. A simple interface will make the app experience hassle-free and hereby increase conversions. Webkon app allows the beauty salon owners to upload as much content as they want. As Webkon apps are progressive web apps, it does not occupy any space in the user’s phone. Therefore, you can add as much daily tips you want to. You can beauty information such as tips, ideas, news, and trends from across the world on topic like beauty and makeup. The Webkon Salon mobile app lets your loyal customers to easily book, track, manage, and organize appointments with the service providers even while on-the-go. The users can reschedule or rearrange or cancel appointments with just a few taps and touches. The salon service providers can schedule a beautician to them based on the customer’s requirements. The Gallery feature in Webkon app makes it even better. The beauty salon users can add the images of the products that they use to offer their service. They can also create a catalog of beauty products that they have put for sale. Also, they can use gallery as a platform to share the images of the salon interiors, fine works, and varied services that the beauticians or experts offer. With the help of analytics tool and statistical approaches, the app can help the beauticians fetch on-demand reports on the bestselling beauty products, the bestselling facials, the bestselling hair treatments, the bestselling beauty packages. With these reports, the salon owners can make necessary amendments to improve ROI. With Webkon apps, you can improve your online visibility. Webkon apps are progressive web apps that offer high SEO rankings and enhanced performance. You get URLs that can be posted in Facebook and Twitter. Upon clicking these URLs, the users will be taken to the landing page for in-depth understanding of the offers and services. The Webkon Salon App helps the salon providers to offer instant Reward System to encourages the customers to stay loyal to the salon. Based on the past service records, the beauticians can offer rewards in the form of offers, deals, and free coupons for the customers to encourage them to visit more often. Webkon app comes with an online shopping feature. 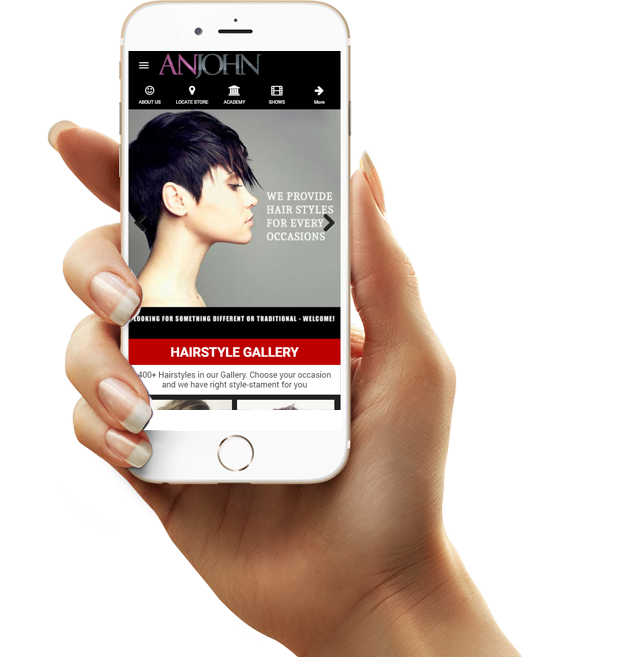 The app makes it extremely easy and convenient for your customers to select from the varied range of products, add them to cart, and purchase top notch products that the salon sells. The inventory can be highlighted in the best manner to offer seamless shopping experience.